This recipe calls for chicken, but we had so much leftover pork from our Slow Cooker Pork Carnitas last week, I thought this would be a good substitute. The great thing about these taquitos is they reheat really well, and I imagine they would freeze great too. 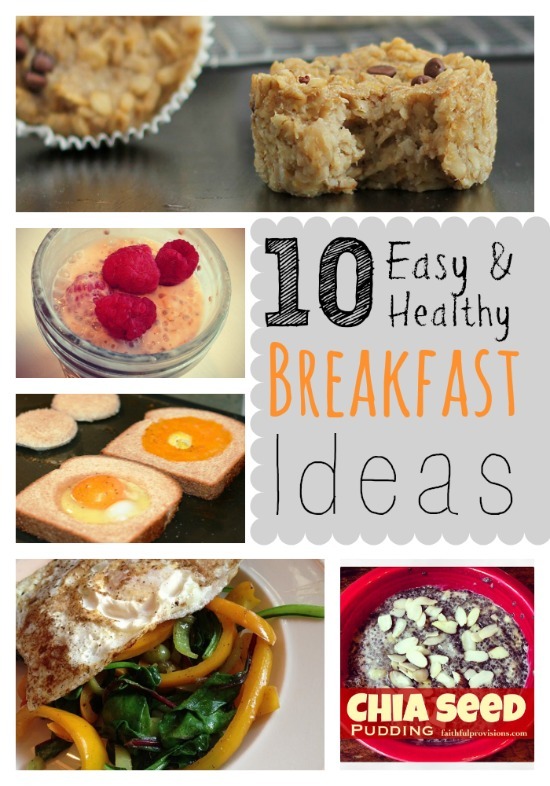 (We didn’t have any left over to try that!) I love the sauce options that it presented and used it for the dressing and the dip. We had leftover dip and used it on our turkey sandwiches this week instead of mayonnaise. 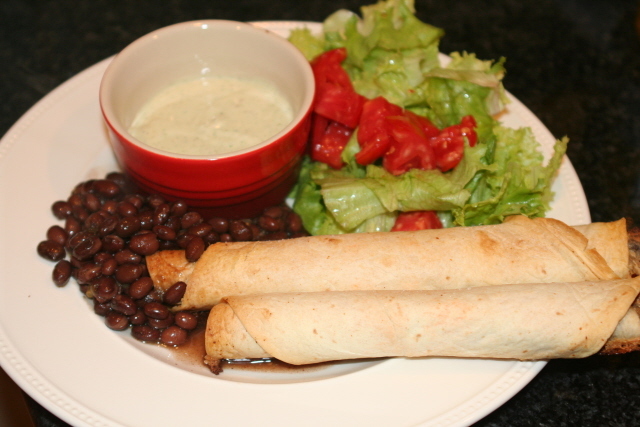 I served these pork taquitos with black beans and a fresh garden salad with gorgeous red tomatoes. I used canned black beans, just heating them on low with 2 T salsa, a dash of cumin and a dash of chili powder. Then I used my taco salad dressing, or you could use the lime-cilantro dressing/dip below. Heat oven to 425 degrees. Line a baking sheet with foil and lightly coat with cooking spray. Heat cream cheese in the microwave for about 20-30 seconds so it’s soft and easy to stir. Add green salsa, lime juice, cumin, chili powder, onion powder and granulated garlic. Stir to combine and then add cilantro and green onions. Place 2-3 T of chicken mixture on the lower third of a tortilla, keeping it about ½ inch from the edges. Roll it up as tightly as you can. Place seam side down on the baking sheet. Lay all of the taquitos on the baking sheet and make sure they are not touching each other. Spray the tops lightly with cooking spray or an oil mister and sprinkle some kosher salt on top. Place pan in oven and bake for 15-20 minutes or until crisp and the ends start to get golden brown. Place milk, mayo, and ranch mix in a blender. Juice the lime in there too, you should get about 2T juice. Toss in the garlic, cilantro and green salsa. Sample it and add hot sauce to taste. Make it several hours ahead of time to allow it to thicken.